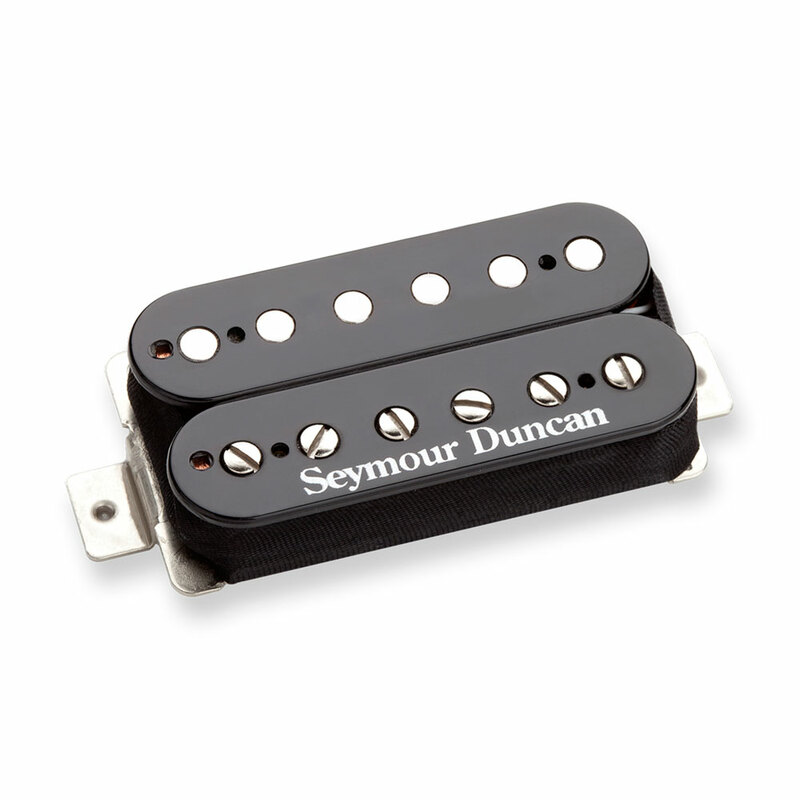 For nearly four decades the legendary Seymour Duncan JB humbucker has been the ultimate hot-rodded pickup. Spanning genres like Blues, country, fusion, punk, hard rock, grunge and thrash the JB has always sounded just right, even as new genres emerged around it. The low end is full and powerful, the highs are crisp and detailed and there’s an upper-midrange bump that adds crunch and chunk to heavy chords but translates to a singing, vocal-like quality when you play single notes or solos. Meanwhile the hot output pushes your amp just that little bit harder for more sustain and harmonics. Use it with a 500k volume pot for great high-end cut, or try a 250k pot to sweeten and soften the tone for smoother styles. It pairs particularly well with the Jazz or ’59 neck pickups, and some players even like to use a JB in the neck position for an extra fat solo tone.